The location is near the Rio Bridge. We like the Casino in Rio so we stop here on our trips to the beautiful Peloponnese peninsula. The owner is an artist! All the large, lifelike mosaics are his creation. 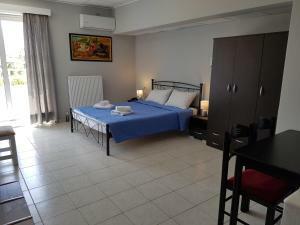 We booked a room for 4, but we were pleased to see that it was actually an apartment: one bedroom with 2 beds and the living room also with 2beds and an open kitchen. There was also a balcony from which you could see the Rio–Antirrio bridge. 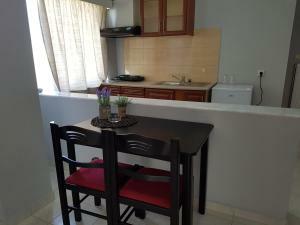 The beach and the restaurants are at 5 minutes walk distance. 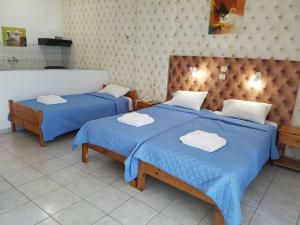 Everything, Very clean and comfortable beds and the hosts. 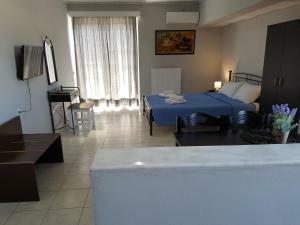 comfortable and clean room, friendly hosts, close to Rio bridge and highway. We enjoyed! We were only there as a stop over but we were impressed! The managers were very friendly and kind! The hotel itself was large, clean and airy and loved the touch of history displayed throughout! Location wise it was perfect too! Just perfect for travelling though! The owners are delightful and will do everything to make you happy!! The room was clean and the bed very comfortable. The owners were very helpful and friendly, i was there under very difficult circumstances and they were brilliant. Free internet access also in the room. The bed was very good and I slept well. The owners were very kind and we had an interesting chat about Greece in the morning. 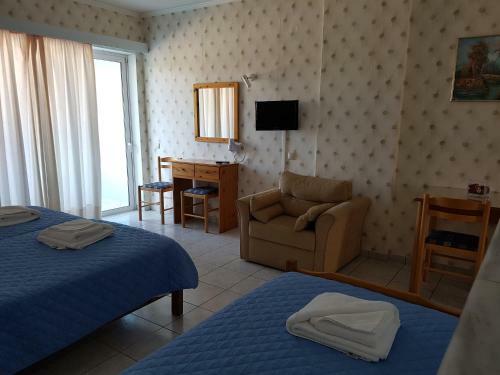 Lock in a great price for Hotel Apollon – rated 8.3 by recent guests! Hotel Apollon This rating is a reflection of how the property compares to the industry standard when it comes to price, facilities and services available. It's based on a self-evaluation by the property. Use this rating to help choose your stay! Sitting next to the newly-constructed Rion-Antirion bridge, Hotel Apollon offers air-conditioned apartments with view to the bridge and the sea. Casino Rio is less than a mile away. 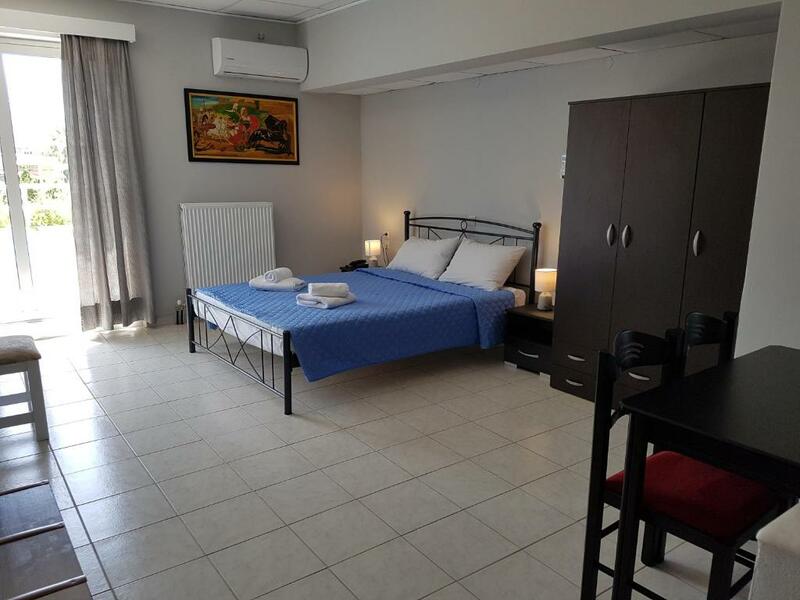 Each spacious and sunny apartment at the Hotel Apollon has a TV and a kitchen with fridge. Room service is also available. Apollon features a café-bar and air-conditioned lobby with fireplace on site. An art gallery is also available on site. 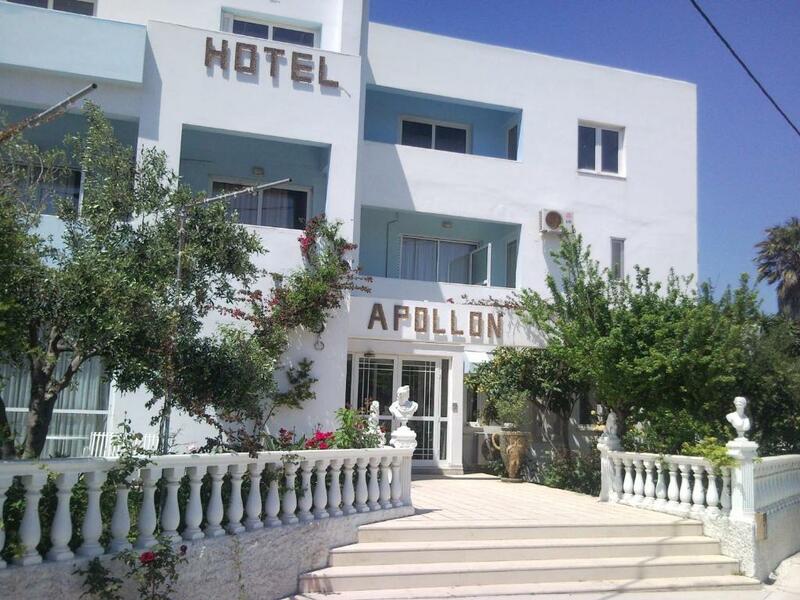 The year-round Apollon Hotel lies within walking distance from the promenade, offering taverns and nightclubs. The city of Patra is 4.3 mi away. When would you like to stay at Hotel Apollon? This apartment consists of 2 separate rooms. House Rules Hotel Apollon takes special requests – add in the next step! Hotel Apollon accepts these cards and reserves the right to temporarily hold an amount prior to arrival. 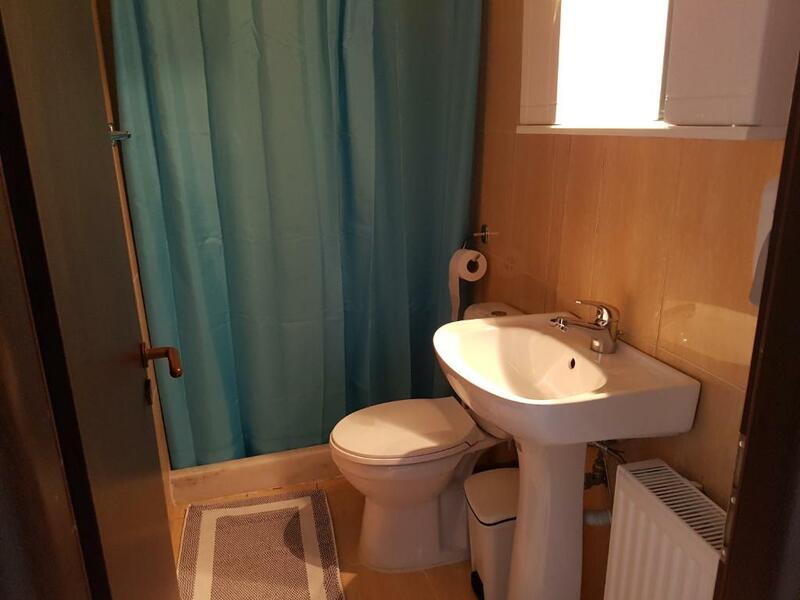 Water closet is not perfect, air condition in one room needs a repair. Bathroom is always wet whatever you do. Right next to the bridge! Not great views! 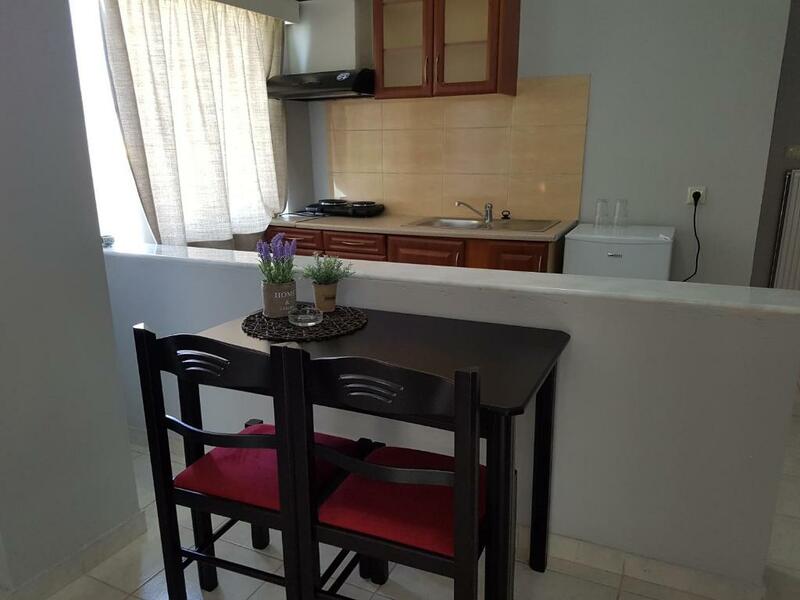 Walking distance to a beach and bars etc. Very friendly hosts. All was spick and span inside. Immediate access to the motorway.